That is interesting on the oiling kit. All will hopefully be revealed when I get to the engine number and if that isn't conclusive, when I take one of the camshaft covers off to fit the billet tappet chest. I can check valves and camshaft part numbers. I will be looking at making up a tandem pump, looks straighforward enough from some investigation work I did today. If my X51 is running backwards, I would be 100% interested in a tandem scavenge if economies of scale would help your project? See the TTP item below, I also have pictures of it broken down if it helps. Autofarm used the TTP in the early oversized Caymans they produced. That looks very similar to what I am planning, I have read about that but it all seemed very expensive. I would be interested to see photos, feel free to pm me. If you watch this short yet informative video on how the scavenge pump works, you will see that the wide section which is visible on the outer cover for the pump needs to be at the bottom when the pump is on bank 4-6, the bank which uses the modified pump with x51. 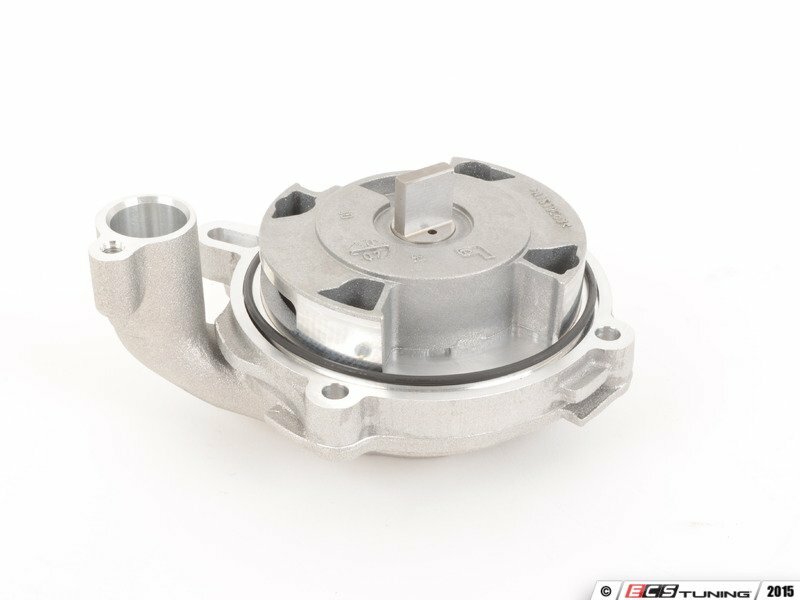 This is the 00 pump which is the one on my engine, you can see the wide part at the bottom so will work correctly. These photos are of the 01 part which has the wide part at the top, on both the inner and outer chamber, so will run backwards on banks 4-6 but will operate correctly on a boxster or cayman when mounted on bank 1-3. As I was looking at my sons lego instructions the other day, it struck me that you now probably have enough photos that you could put together a photo manual like a lego instruction manual that would enable someone to assemble a 996 without any words or text at all! 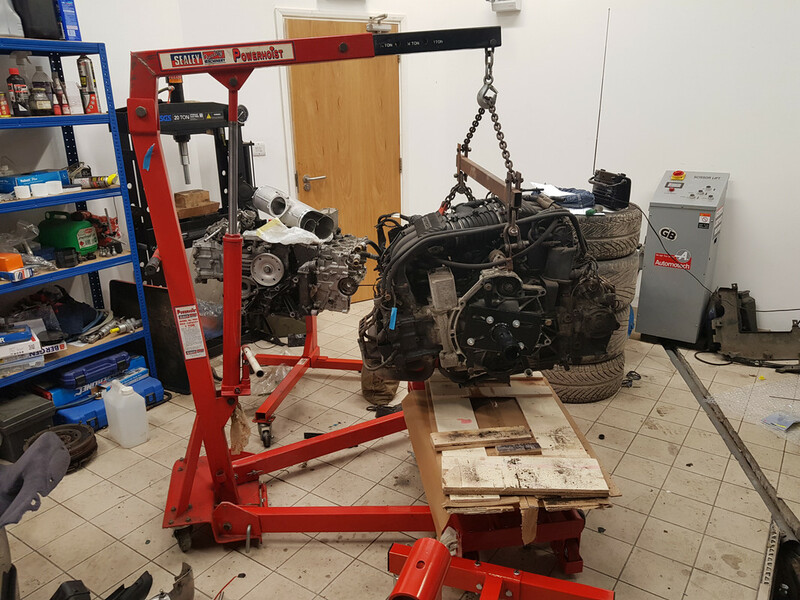 Engine moved from the scissor table to the engine stand with the engine hoist. So not a factory x51 engine, but thankfully it is an 01 and has the dual row IMS bearing. Built in 1999. I won't know if it has the full x51 heads, the x51 sump, or just the oil pump until I take a camshaft cover off and remove the sump. I won't be doing that now as the garage needs a really good clean and tidy up, and I have to get the car ready for going to the paint shop. The suspense is already killing me. Im afraid i know very little about this but i do seem to remember it was an upgrade which was done at OPC . 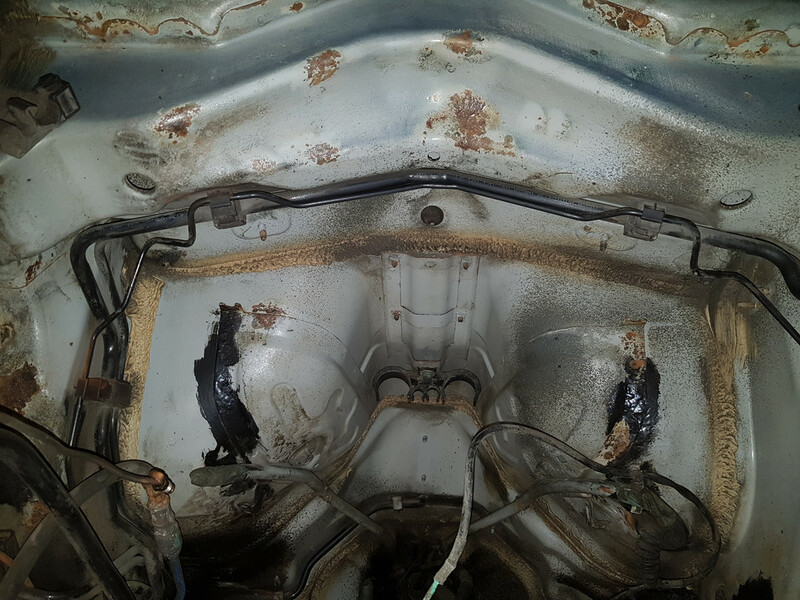 Coil cover and coils removed, clean up the joint area between the head and the cover. 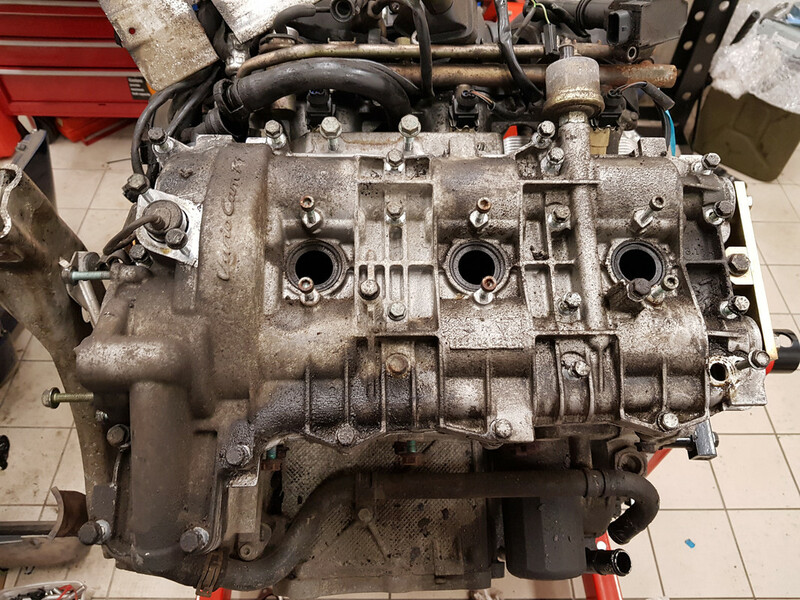 Set engine to TDC, ensuring that the slots on the camshaft are level with the top of the cylinder head, I.E. it isn't 360 degrees out. 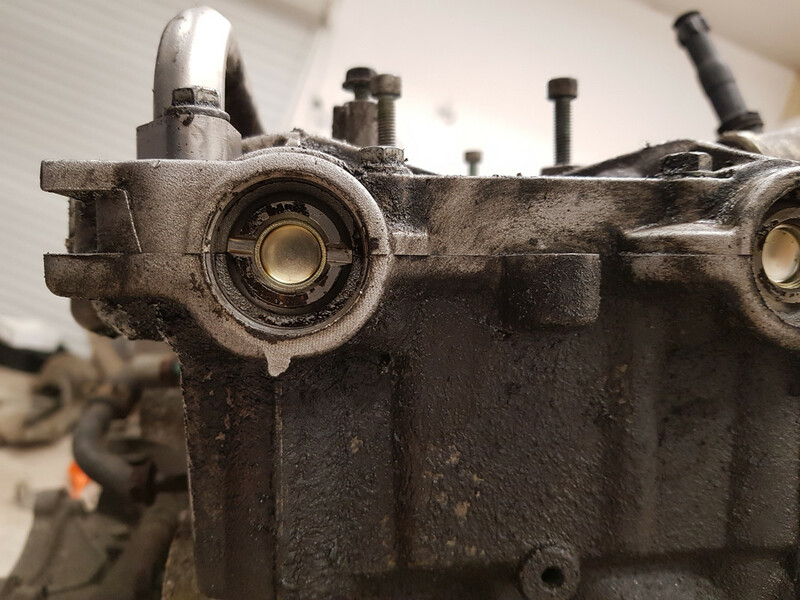 Put the camshaft retainer in place, remove the solenoid cover, undo all of the bots and take the cover off. A view of the camshafts indicates that these are standard camshafts. So it looks like just an oil kit, not a full x51 kit at this point. I'll confirm the valve type when I get the tappet chest off. Back to doing what I need to do in the engine bay. 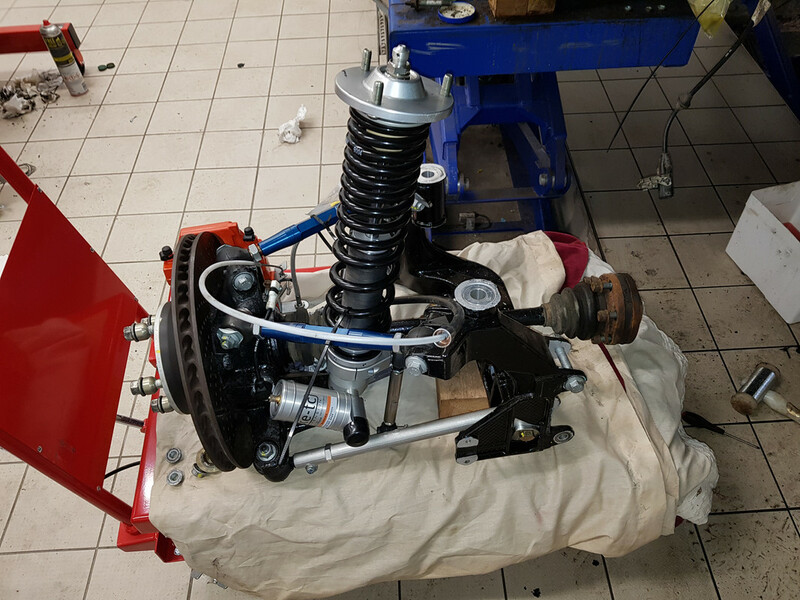 It appears from the design that when the car is built Porsche hang the brake pipe which goes over the gearbox from the ceiling and then build the rest of the car around it. As such a lot of bits need to be removed to fit it without getting it bent out of shape. I’m keen to bend it as little as possible, if I wanted to bend it I would have bent one up myself. Given that it is a part which is often changed on 10+ year old cars I’m not too impressed. The two large aluminium tubes are removed which carry the coolant. 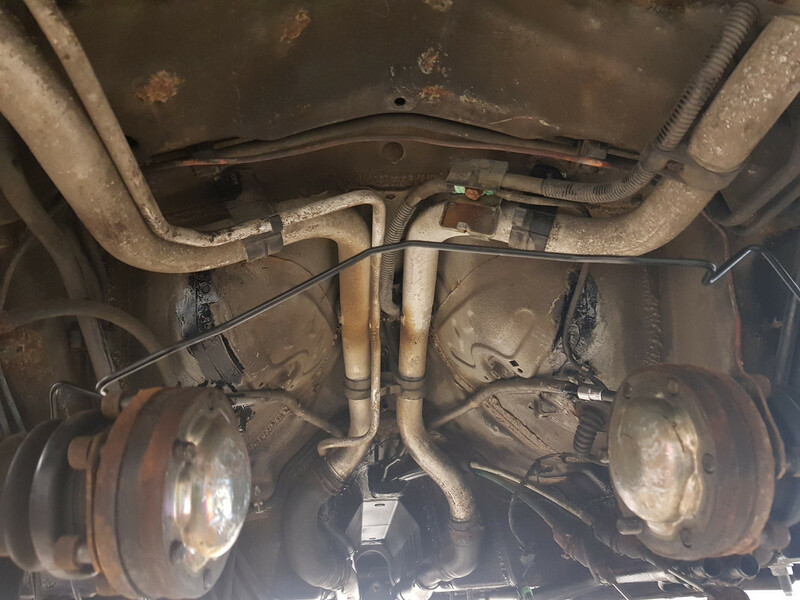 The two power steering pipes had to be dropped down on the offside to get the pipe out. 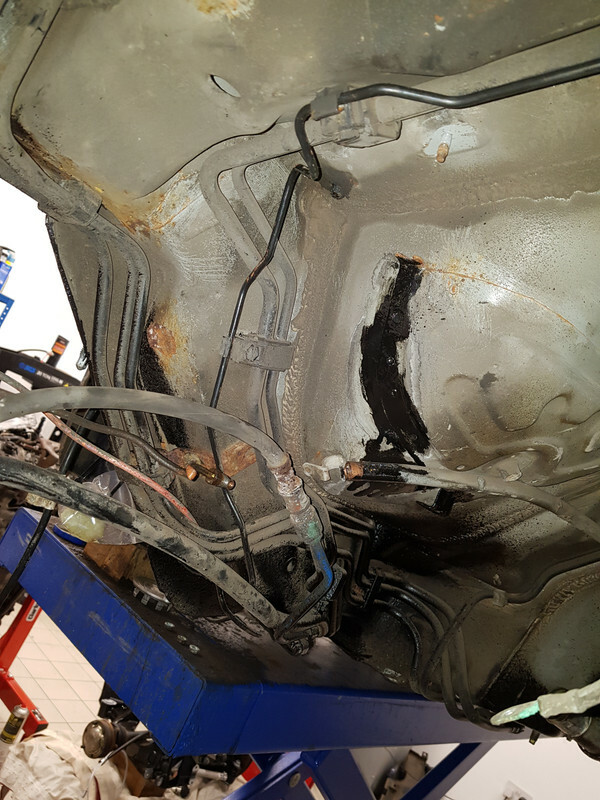 The electrical connector which joins the main power back to the engine from the battery also had to come apart, this was pretty corroded so will be cleaned up before going back together. 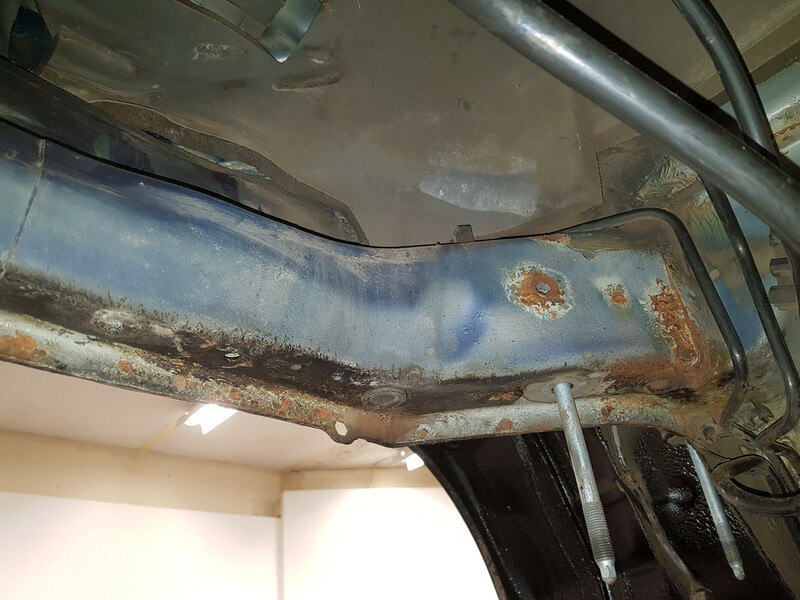 With these out it is still nowhere near possible to get the pipe in, so I decided to drop the subframe out. Supporting it on the scissor table enabled it to be done easily by myself. 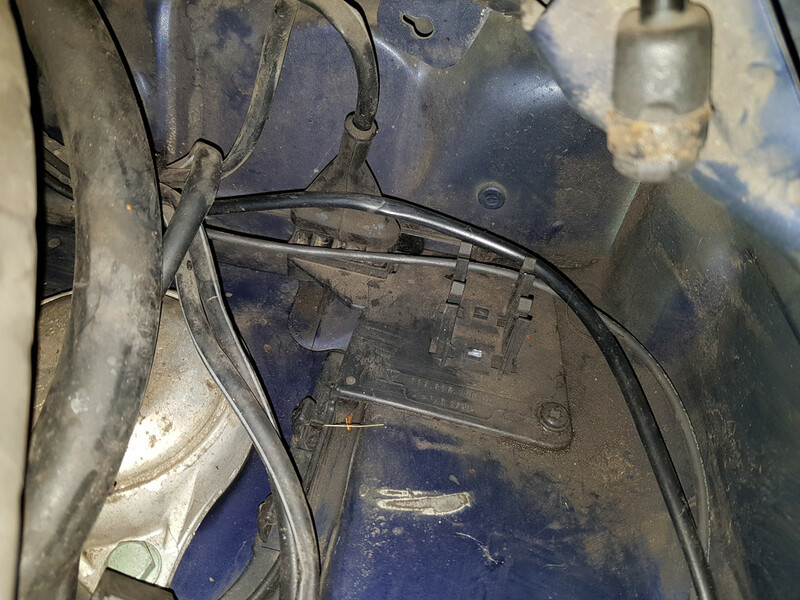 Undo the top suspension bolts, disconnect the fuel line, disconnect the handbrake inside the car and pull the cable through, unplug and unscrew the wheel speed sensor connector, and pull the wheel speed sensor connector out from the mounting bracket on the subframe. I also tie wrapped the shock absorber to the top arms to stop it moving around. 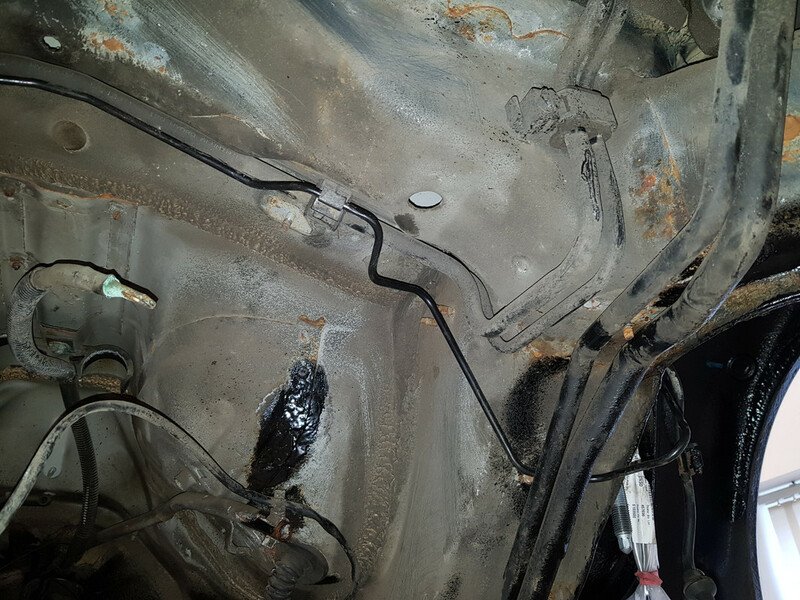 One of the reasons to drop the engine and gearbox was to treat and protect the rusty seams inside the engine bay. Nothing too bad, but I want them properly sorted. With the pipes out of the way I will treat with rust converter, then two coats of POR15, then underseal. If they lasted 20 years and nearly 200k miles with no protection that should see them good for at least another 30. 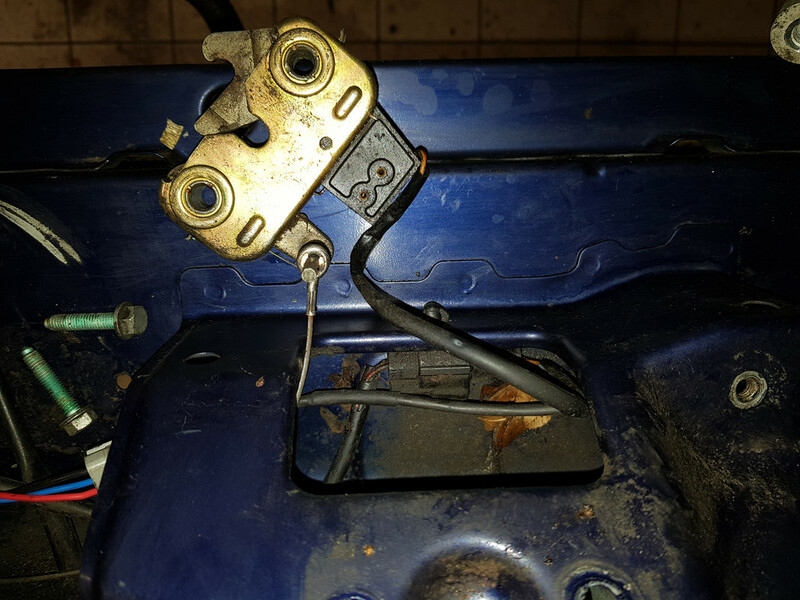 Just seen this, wow you must want to kick the car having to take it apart again! Anyone else would have just bent and re-bent the pipe (risking work hardening and damaging the coating on OE steel pipes) to get it in. I used cunifer pipe that can handle a bit of bending. I do wish that I hadn't filled and bled the brakes, but no big deal. 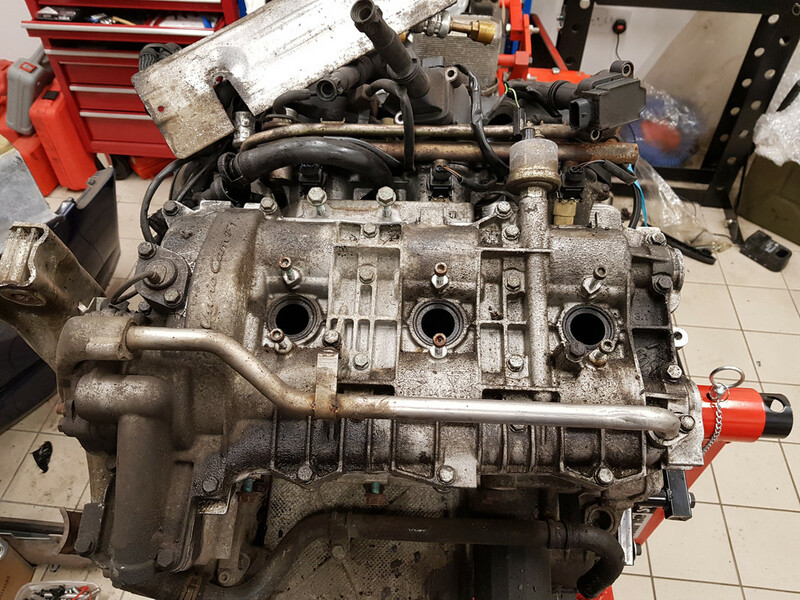 It is only because the bodyshop told me it would be an extra couple of weeks that I decided, pretty much on a whim, to drop the engine and gearbox. Dropping the subframes is not remotely difficult with the scissor table and lift though. 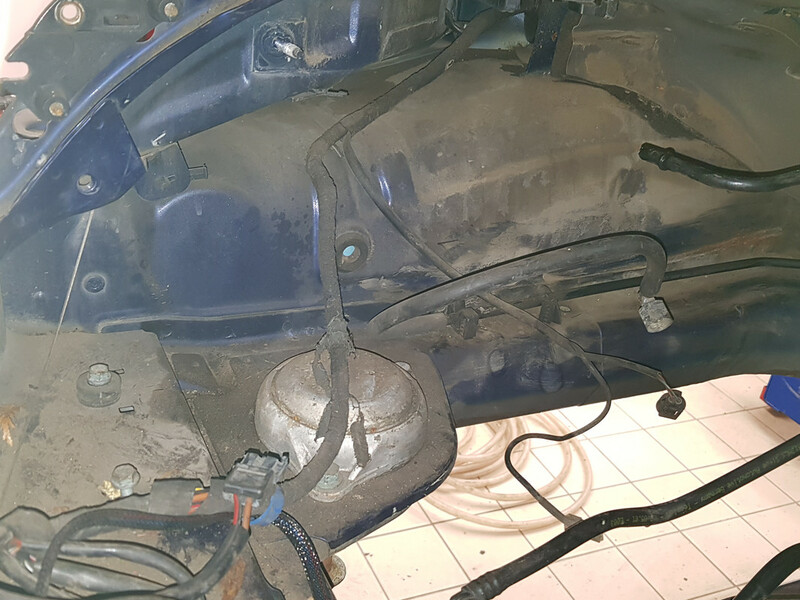 By removing both subframes, and undoing the top two clips securing the air con pipes it is possible to get the new pipe in. There is a bit of wiggling to do, but it all goes in without ever being bent past it's elastic limit, which is exactly what I wanted. You can still see the old pipe in these photos as I haven't connected the end of it yet at the joining block under the sill. There are a couple of clips which broke or are missing, so I need to sort those out. I can get on to sorting out the small areas of rust now. 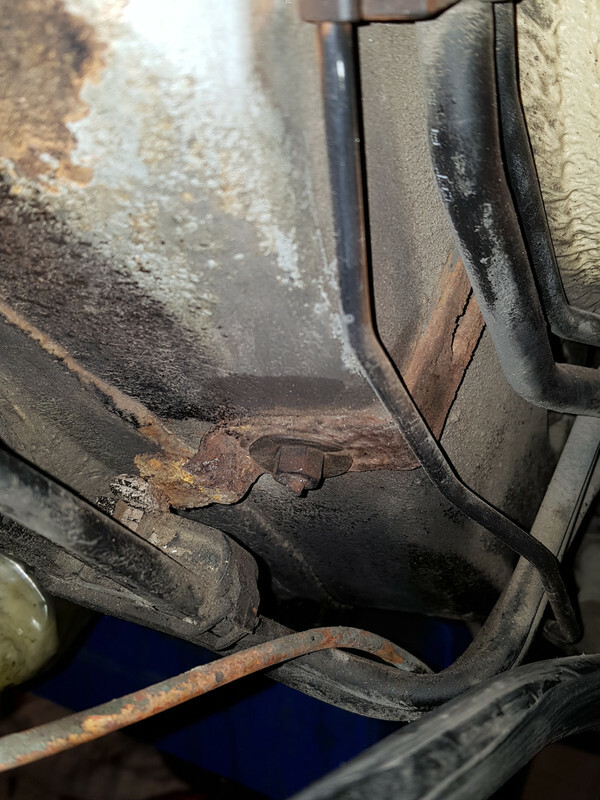 I spy your clutch pipe flexy crimp.....I put a stainless jubilee clip over mine, as it looked corroded. 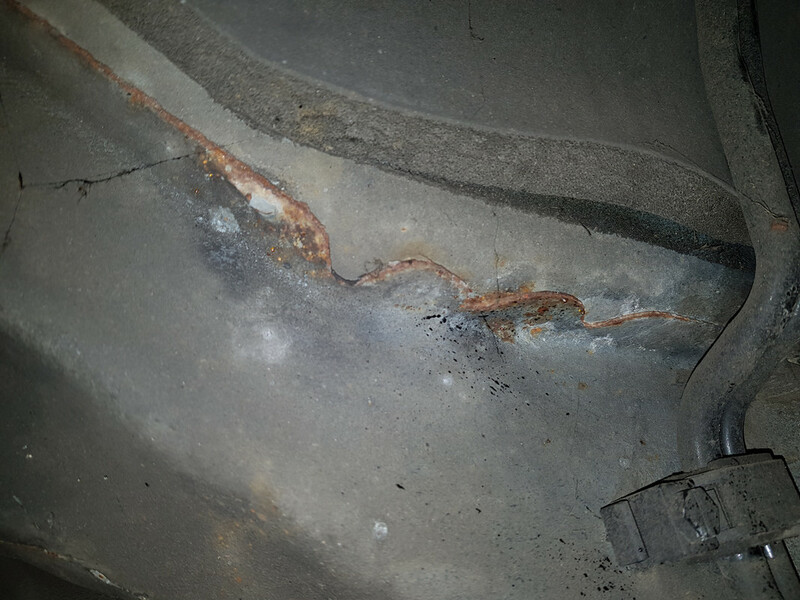 As with the steering pipes, in the OSF wheel arch, the crimps can fail leading to pipe pop off. 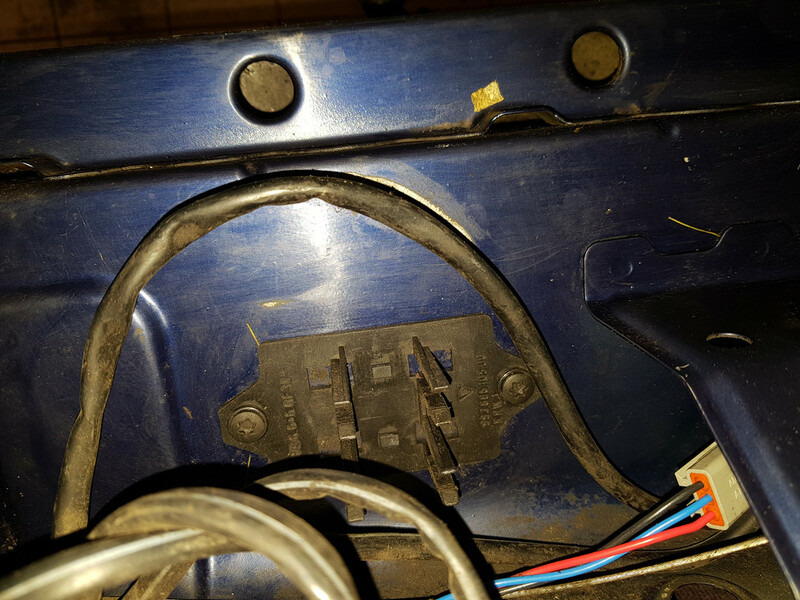 I think cobraRS's failed and he replaced his, but you have to replace the blue line and the flexi as they are held together by an push connector. These parts are unfathomably expensive. 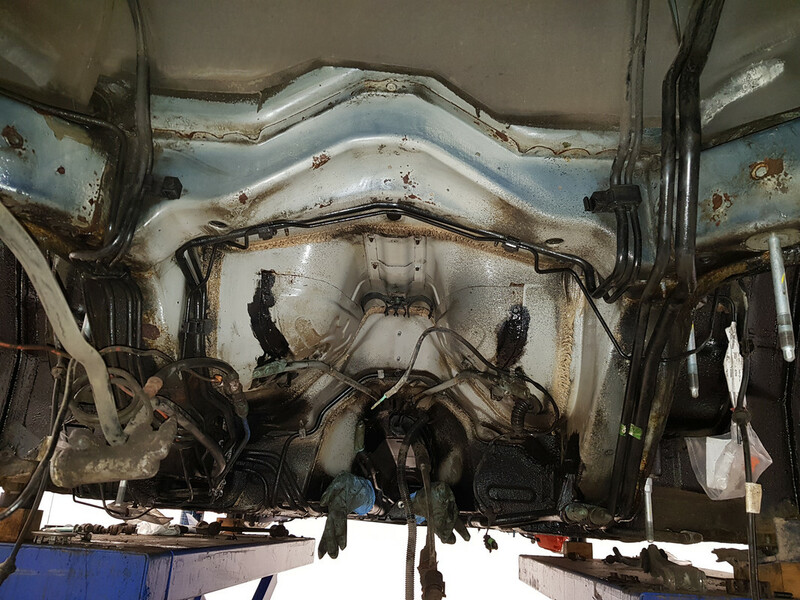 Next time I'm in there I might see what Pirtek can do, theres no need for that pushfit connector after factory assembly. I will give it a good clean and see what it is like. 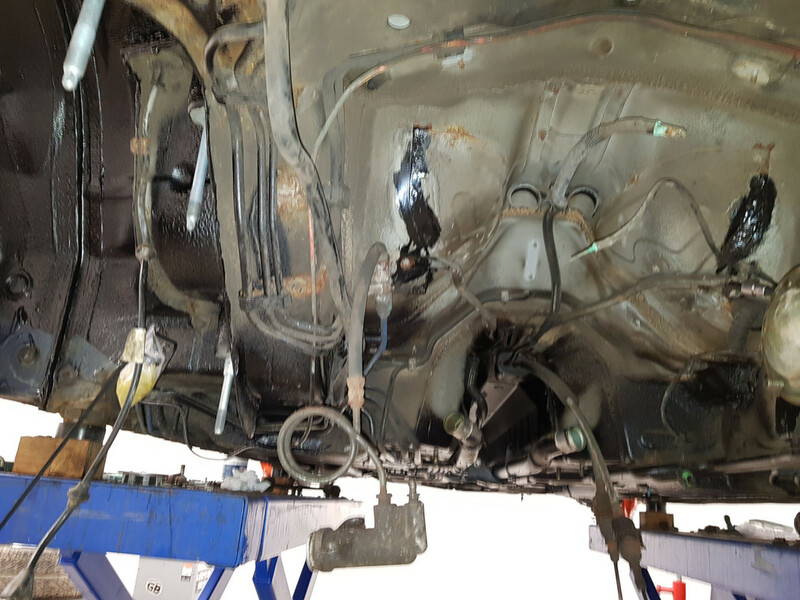 I have started to clean the underside around the engine bay and gearbox area. I used a washing up brush to scrub in some gunk, then an air line with water in a spray to get it off, I find this rinses really well whilst using hardly any water. Then blow it off with the airline and wipe over with a cloth. It isn't finished yet, but it is a great start. 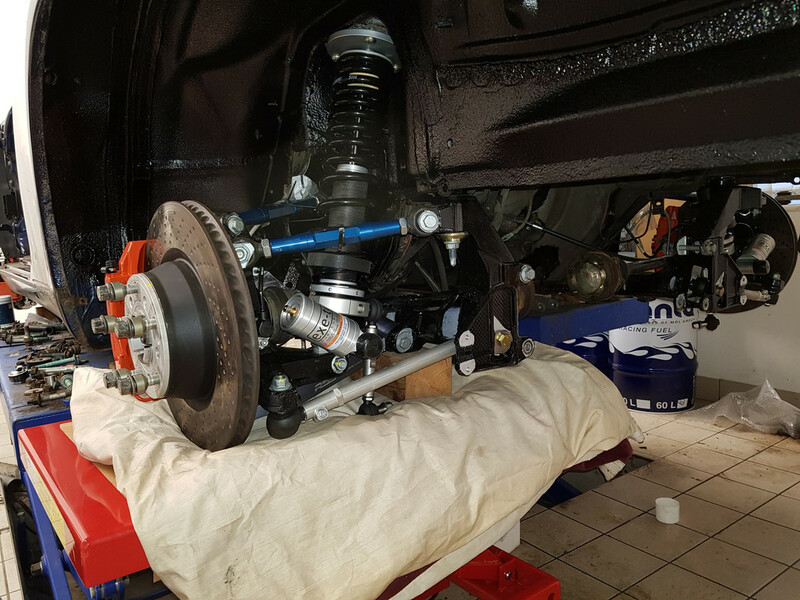 Waiting for a few bits to arrive before I can finish off underneath the car. A support bracket has arrived and a few clips. 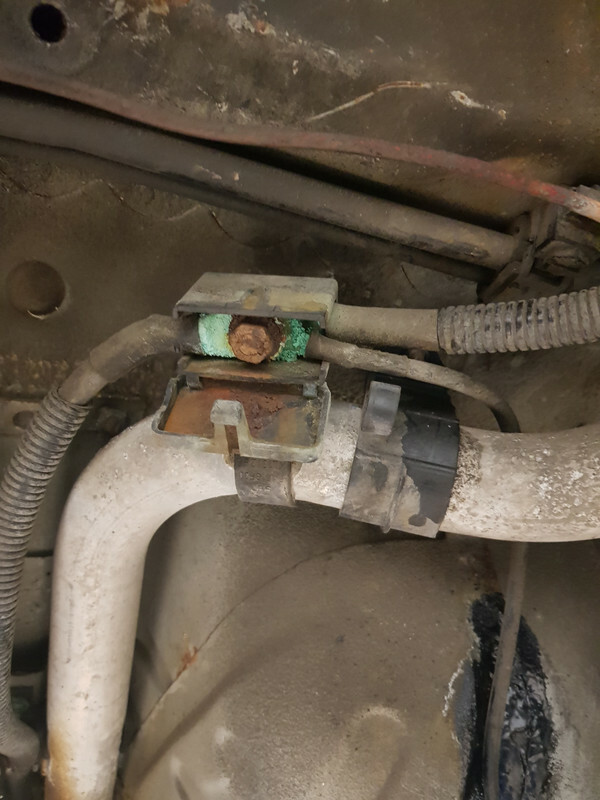 Trying to source the right cable/pipe clips from Porsche is a real pain. 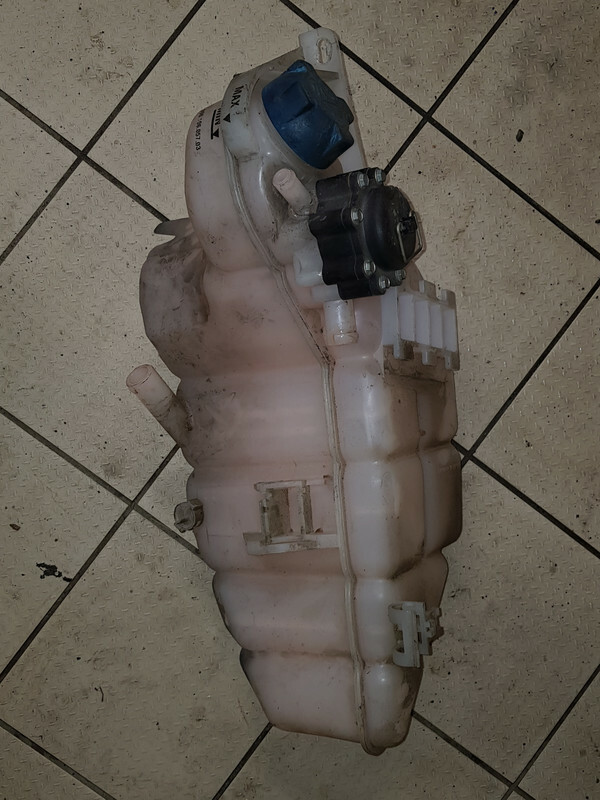 The fuel filter will be changed, as it is so easy to get at with the parts out of the car, so I thought I'd pull out the SAI pump and header tank so that they can be cleaned up and new coolant pipes fitted. Removing more parts around the engine bay. As the car is going in for a respray I want to allow the painter to get access to as much of the car as possible. 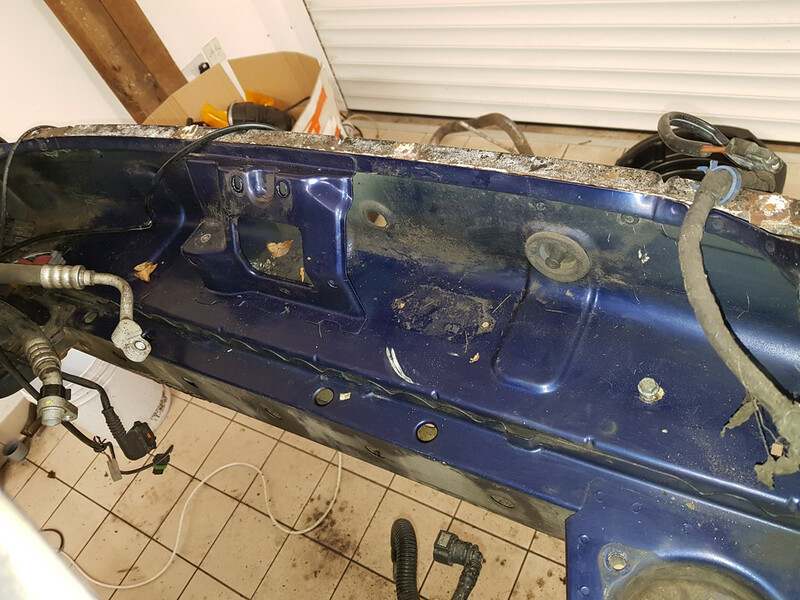 I don't want people to open up the boot lid to see that it is a different colour as there were so many parts it just couldn't be painted. 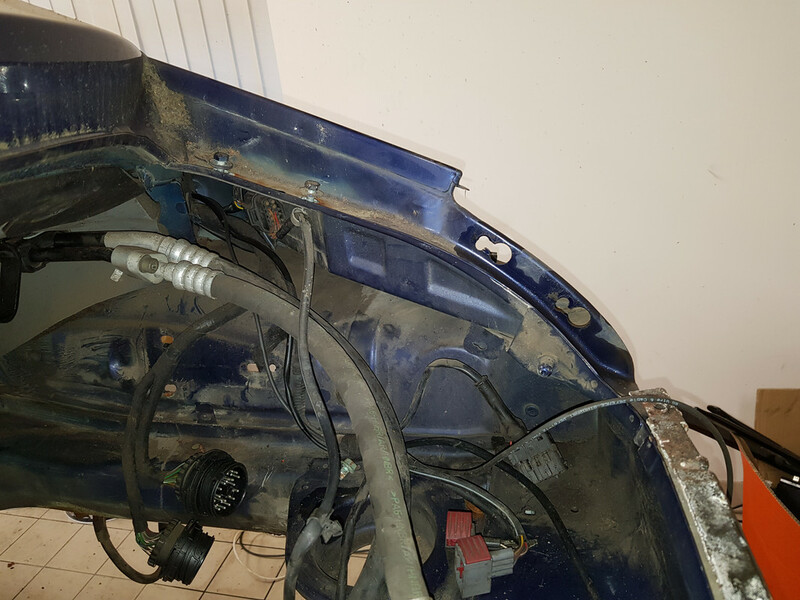 Rear lid removed, cable holders which clip or are screwed to the frame removed, bool latch and solenoid removed, as well as the engine mounts. 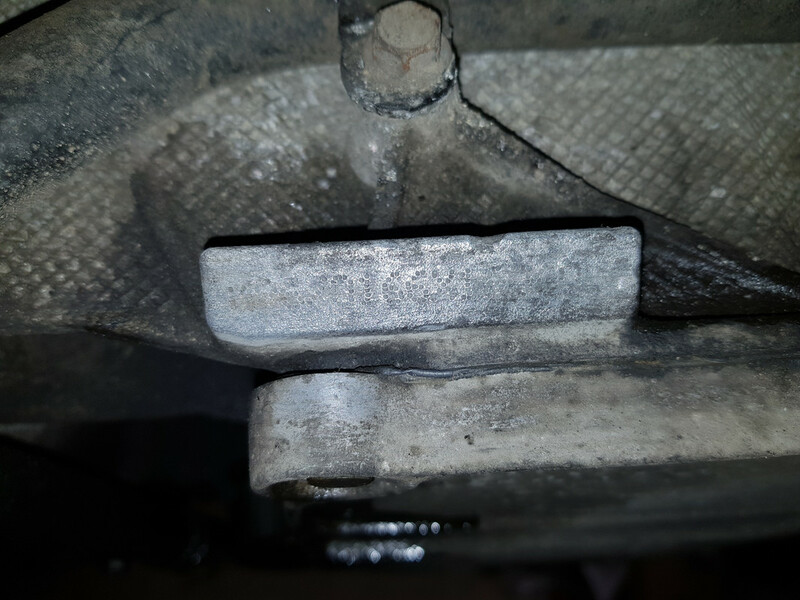 Only problem was that one bolt snapped on an engine mount. Better now than when the engine is in place. I have the original Autofarm development Cayman RS fitted with their Silsleeve 3.7l engine. Looking back through the history that came with the car it ran very hot initially, so they fitted a front-mounted oil cooler, which seemed to improve things. 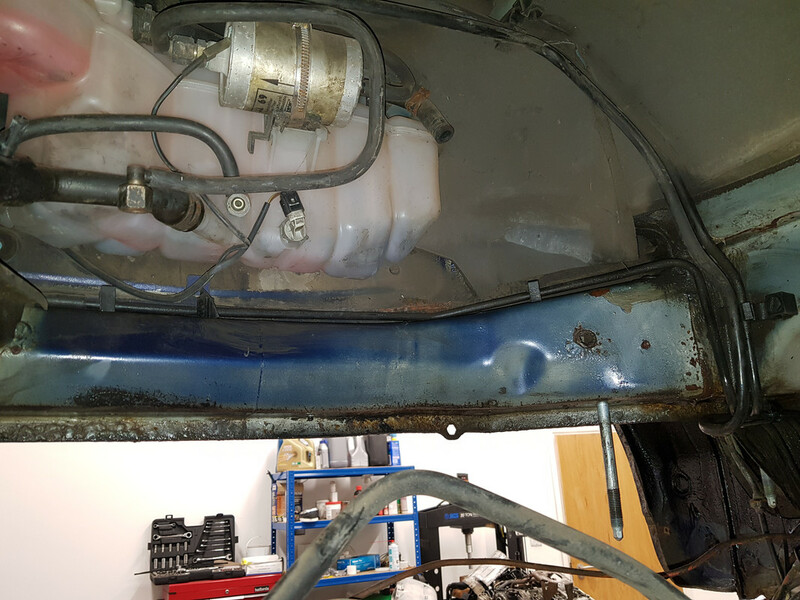 They fitted the obligatory deep sump but there was no mention of the X51 oil pump / TTP Oil safer kit being fitted. For reasons that are not clear, the front oil-cooler was removed just prior to sale, so little did I realise, but I was put right back to square one with a car that ran massively hot. 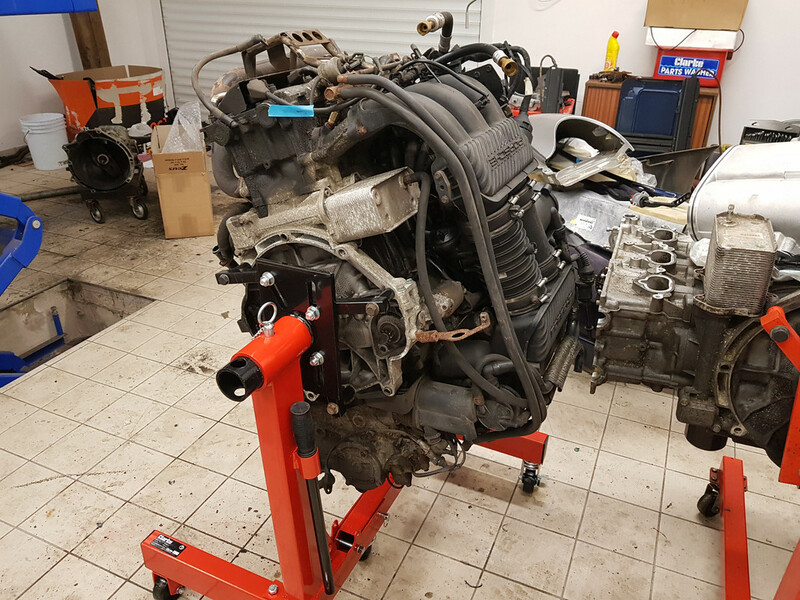 To cut a very long story short, a combination of input from RPM and Parr has now left me with a front GT3 radiator, 997-sized oil / water heat exchanger, a rear mounted external oil cooler and a TTP Oil Safer kit fitted to both banks. 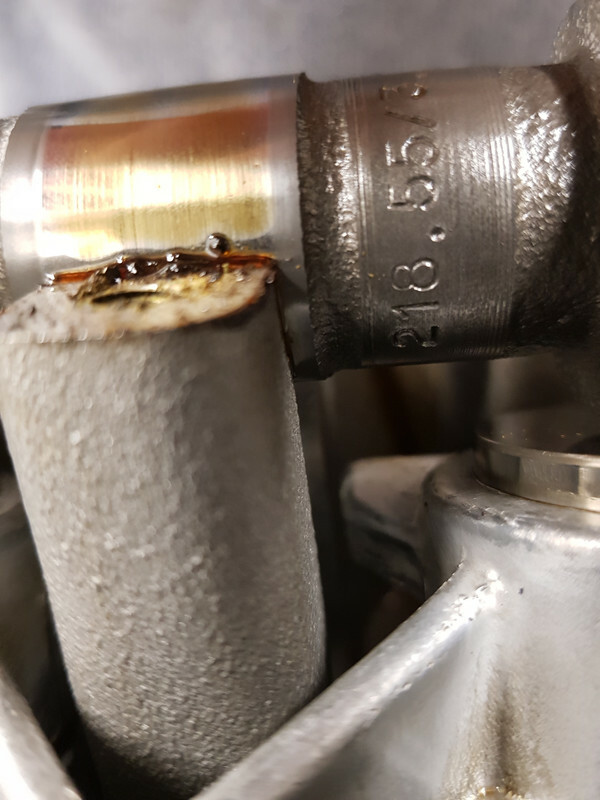 I had never experienced any obvious issues with oil pressure or surge on track, just high water and oil temps (the car is almost exclusively a track slag), but Parr convinced me that it was a prudent precautionary move. Either way the deep sump, bigger heat exchanger, external cooler and TTP kit will have added a meaningful extra amount of oil capacity to the system which hopefully is helpful for temperature management at the very least. It has proven to be a hugely expensive, but interesting, journey to get to this point, and whilst a 911 has fewer cooling issues than the Cayman, I strongly suggest that any capacity increase is accompanied by significant extra cooling of both oil and water. Whether the TTP kit is needed on a road car is a fair question, but Parr insist on them for any M97 engine based track car. For preference they also fit an Accusump system, but that was far too intrusive in terms of using up boot space to make that a viable option for me. Glad you got the temperature issues sorted out, I had no idea it was such a problem on the Cayman. I am not convinced about the use of the second scavenge pump. 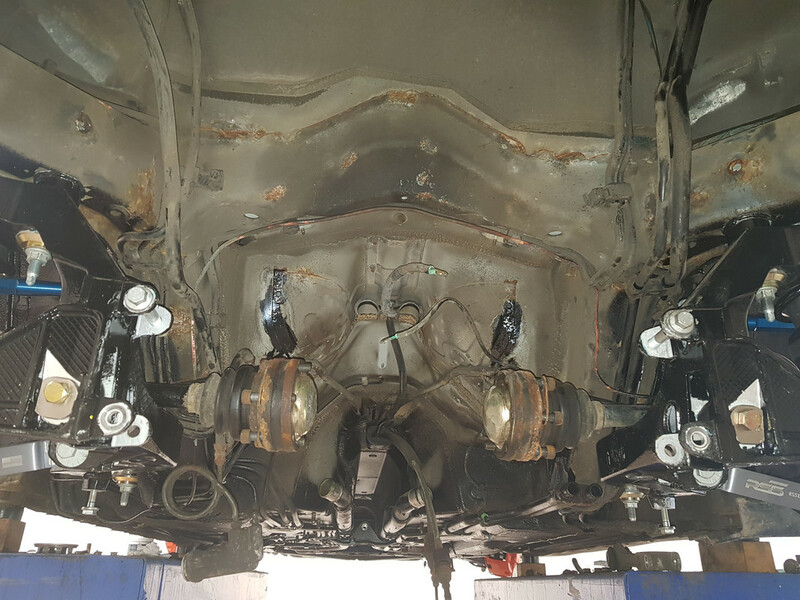 I can see it as a nice-to-have, but in terms of the problem that it is solving, it is the front ends of the engine which need the scavenge most as they are hit under long corners and braking, the backs are mainly used in normal driving and acceleration. One side has a pump at the front anyway, so the other side needs the additional pump. As the Cayman/Boxster run their engine the other way around to the 911, the bank which is affected is swapped. 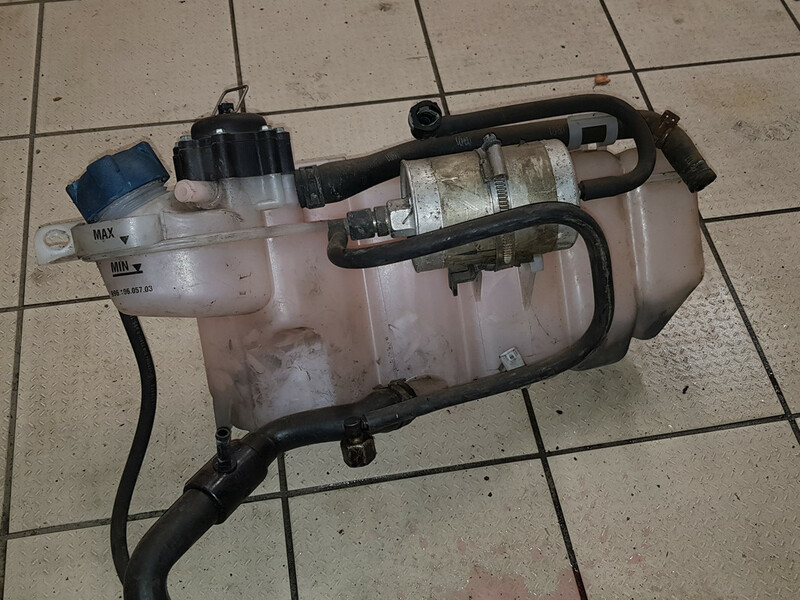 The pumps run the other way, hence needing a different pump design or to turn the pump upside down to swap between the two. 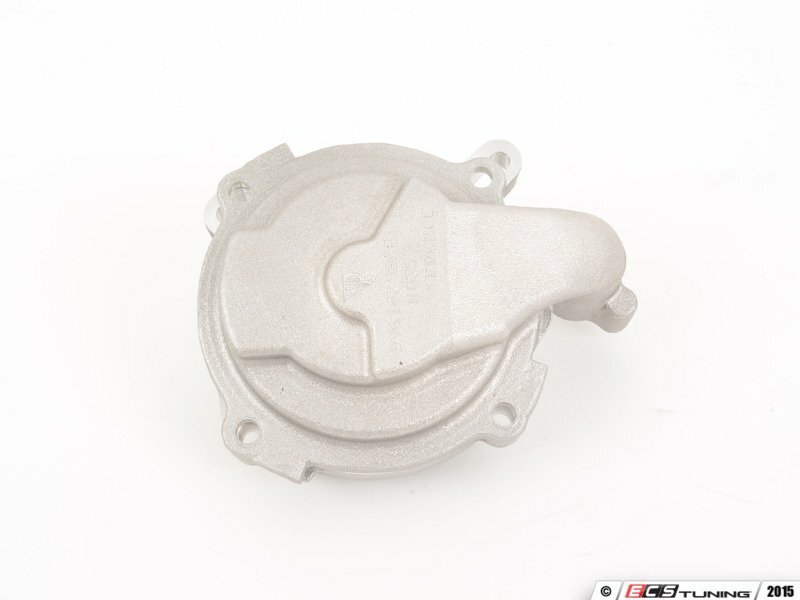 I have looked at the aftermarket offerings for the scavenge pumps and I don’t like them from an engineering perspective. They are based heavily on the standard production pump which is then modified. 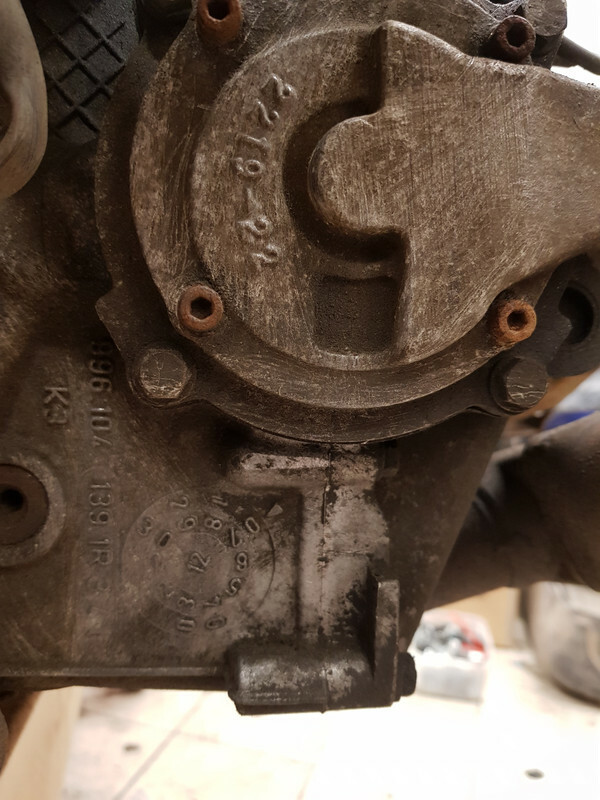 Unfortunately the quality of the standard production pump is not as good as it was, and I don’t believe that it lends itself well to be modified to drive two sets of pump gears in the way I have seen it done. I am sourcing just the gears and will be producing a billet pump body for my application. 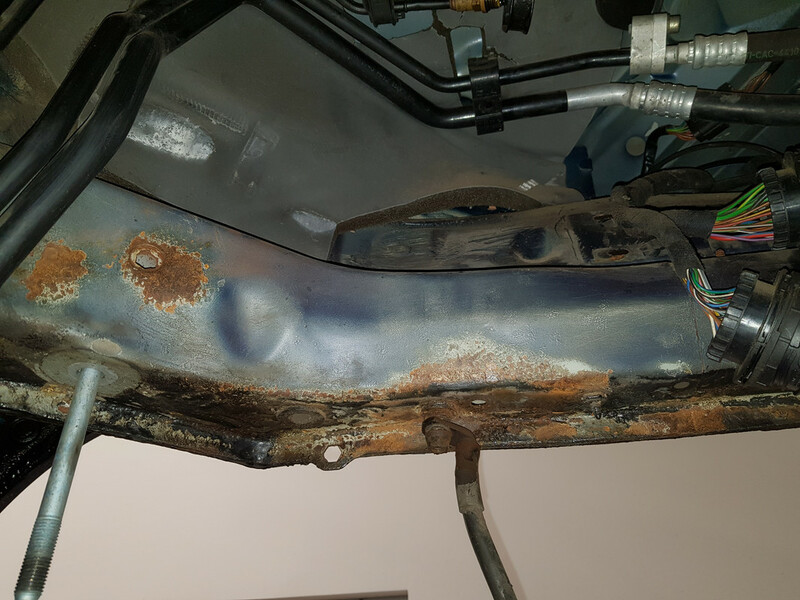 The areas around the engine bay have now been cleaned up ready for the surface rust to be treated. There is no protection on these from the factory so I’m not surprised that it suffers over the years. 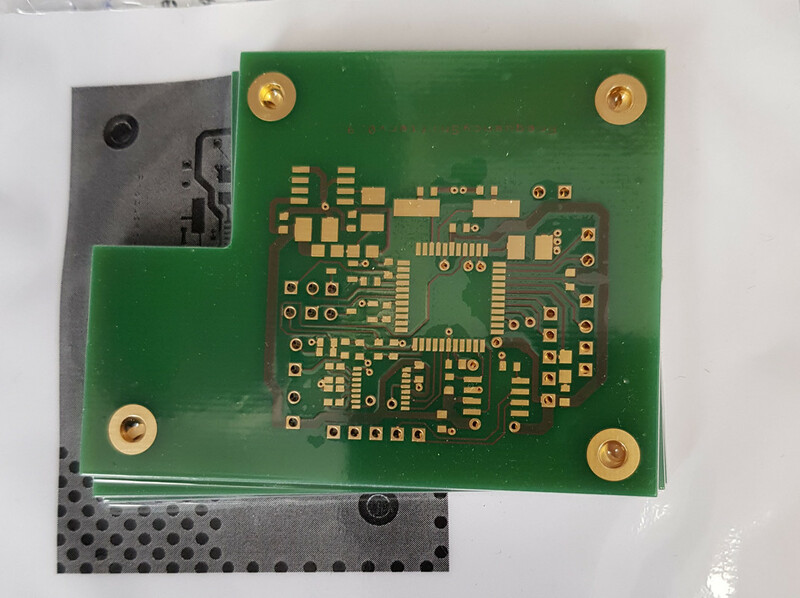 The PCB has arrived for the mods to the instrument cluster, so hopefully that can start to move forwards as well.